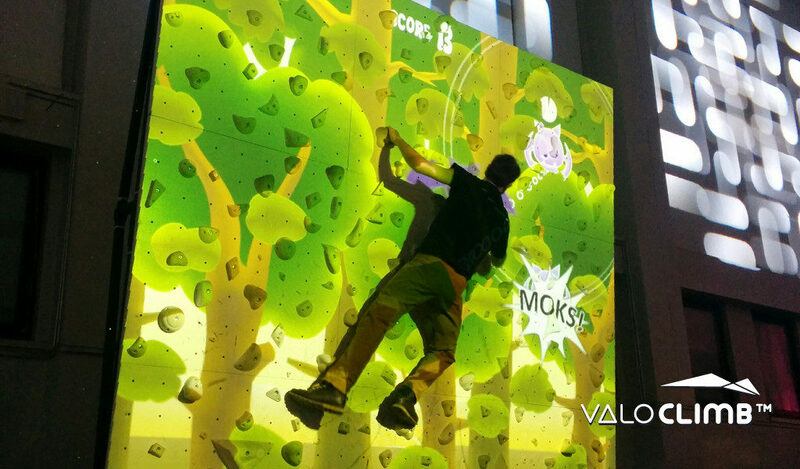 Whack-a-Bat provides thrilling experiences for both new and experienced climbers and also entertains the audience. As the game gets faster and more difficult the audience gets engaged and starts yelling instructions. While primarily a one-player game, we’ve often seen that kids love playing it together with their friends. Whack-a-Bat makes endurance training fun. 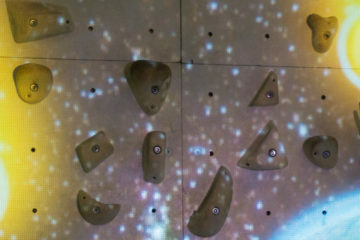 It motivates kids and adults to climb both faster and longer. Suitable for any skill level and age. Keeps kids entertained for hours (yes, we have seen that). 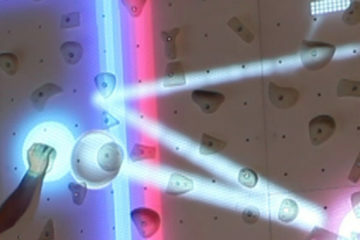 Engages even advanced climbers to compete of the high scores. 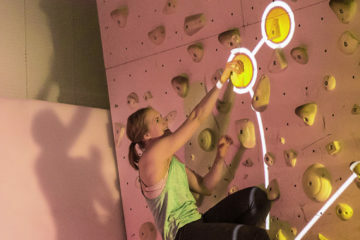 Used in a Finnish national bouldering league competition, fall 2015. Whack-a-bat suits anybody. The difficulty level is easily selected with a single tap on the touchscreen. 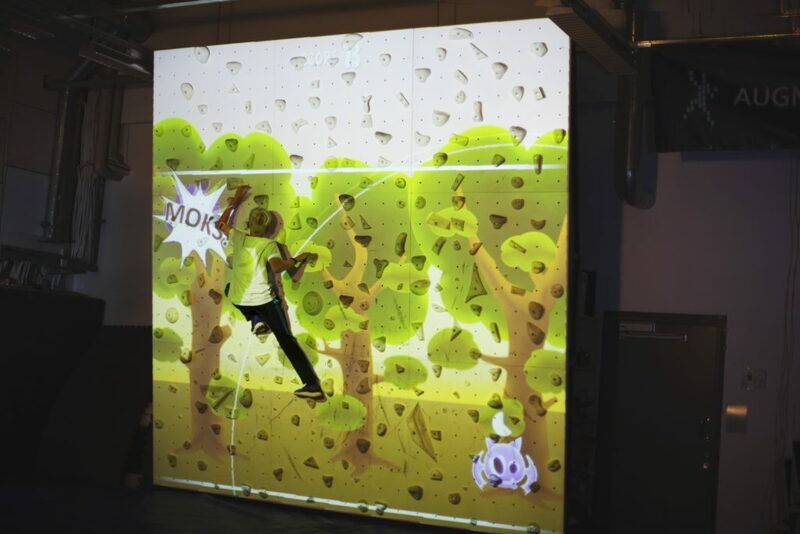 Players can choose from six different difficulty levels so both competitive climbers and little kids can have fun with the same game. System administrators can adjust bat size and even change the theme to go with their business themes or for a special event like a birthday party.